With integrated LED light, the iClever WiFi smart plug not only allows you to remotely control your appliance, but also provides comfortable illumination, and it supports Amazon Alexa, Google Assistant and IFTTT. 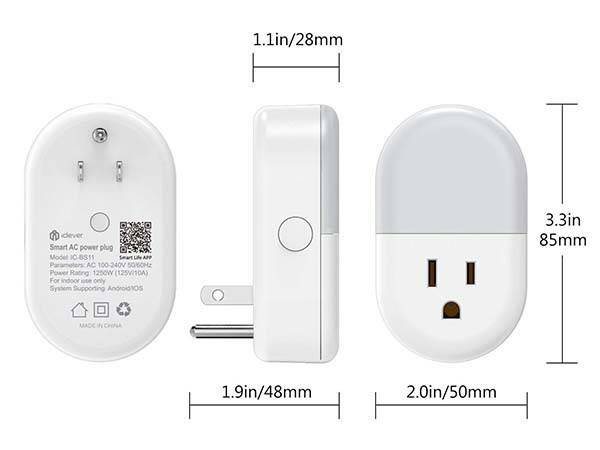 This is an advanced and versatile smart WiFi plug that measures 2.0 x 3.3 x 1.9 inches and weighs 4.8 ounces. As we can see from the images, the plug shows off a compact and lightweight design, and the smooth contours and solid white exterior allow it to blend well with any interior decoration style. Meanwhile, the 3-prong design lets you easily plug it in any wall outlet in your house. 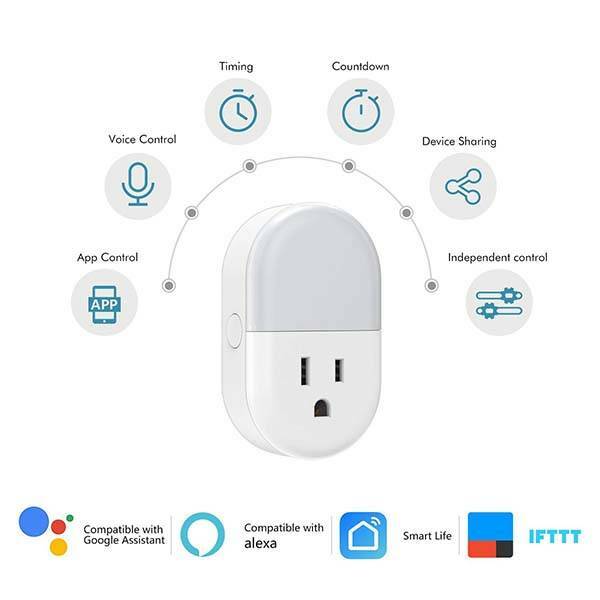 The WiFi smart plug is designed to make your appliance a part of your smart home system so that you can remotely control the connected device with your phone wherever you’re, and using its custom app, you can also set schedules for your devices. Furthermore, the support for Amazon Alexa and Google Assistant allows you to control the connected device with your voice commands, and it works with IFTTT, which means it can interact with more devices and online services by creating more IFTTT recipes. Moreover, the smart plug comes equipped with an integrated LED light, and its brightness is adjustable to deliver your favorite illumination. 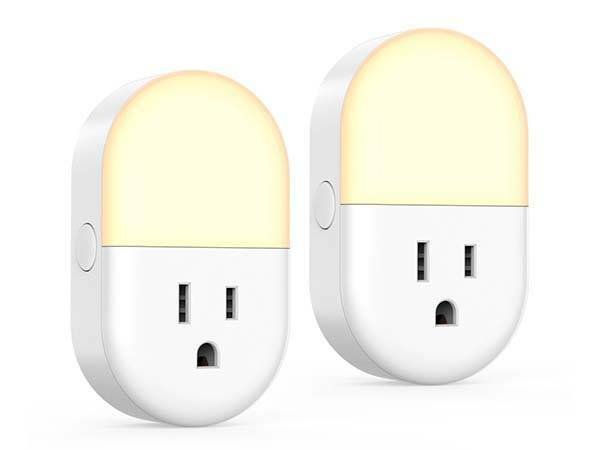 The WiFi smart plug with LED light is priced at $26.99 USD. If you’re interested, jump to the product page for its more details.